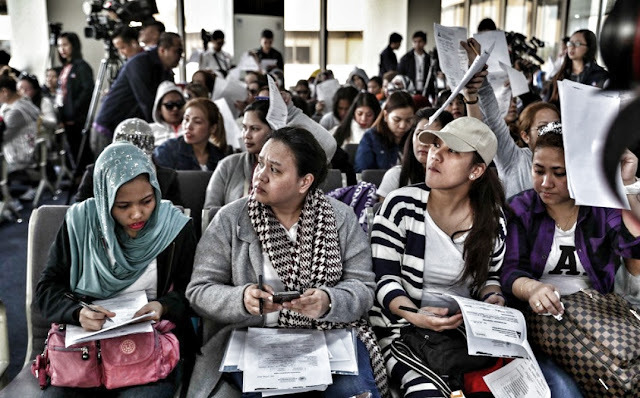 Filipino OFWs are our modern day slaves. In the 18th century; we had African slaves, kidnapped in Africa, to be sold as Plantation Workers in U.S. Southern States. Most of the U.S. Southern states, then , had Plantation Owners, with large holdings of lands, planted with cotton. Slaves are worked to death… Slaves are whipped, tortured and maltreated at the slightest mistakes. Women slaves are raped; and made pregnant by the slave masters, to produce more slaves in their household. Slaves are sold in Slave market, like you sell your carabao. The illegal OFW recruiters are like the slave traders of the past.